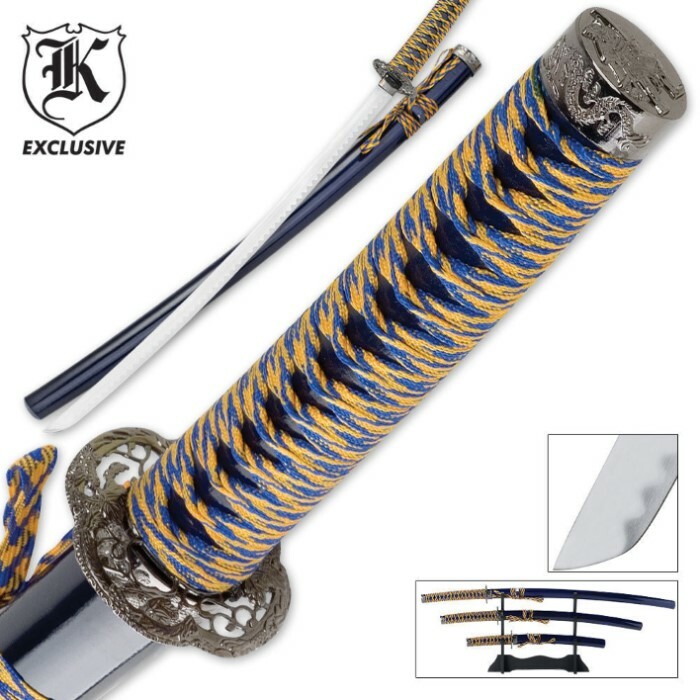 Through a special purchase we acquired this traditional 3 piece sword set at a below market price, so we're passing the deal onto you! 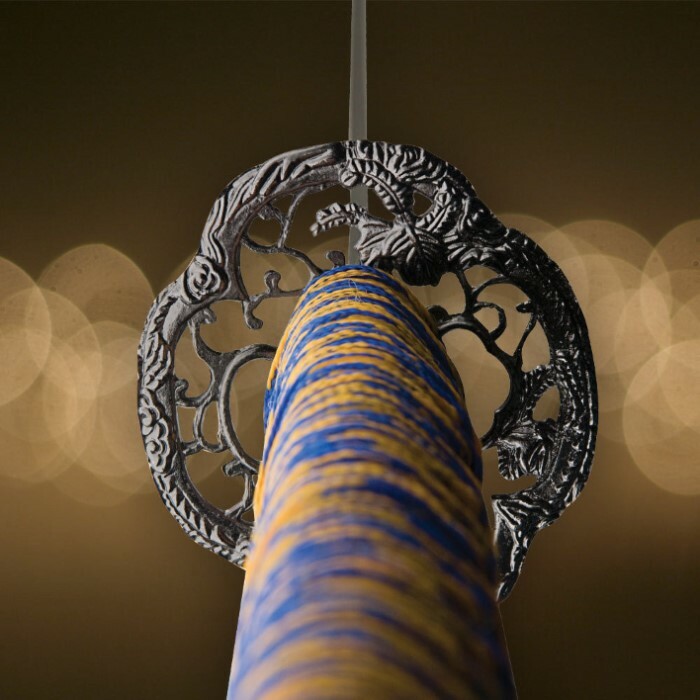 Each sword is equipped with a high carbon steel blade with heat tempered finish. The nylon cord wrapped handles are accented with cast metal tsuba and pommel. The flaming black sheath is adorned with coordinating cord wrapping.